Data roaming charges are set to be abolished within the European Union by June 2017, it has been announced. The ban will be preceded by a 14-month interim period, in which companies can still add surcharges - but at a reduced rate. A deal, reached on Tuesday, also sets out rules requiring telecom operators to treat most internet traffic equally. But the net neutrality rules will allow firms to favour some services, such as internet TVs. 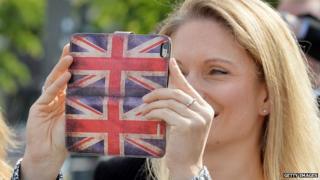 The cap would make roaming within the EU 75% cheaper during the interim period, the European Commission said. The agreement is the culmination of years of campaigning to cut roaming charges and to define the EU nations' approach to regulating internet traffic - particularly in light of the US adoption of net-neutrality rules. It largely follows proposals put forward in March this year, which analysts said were a weaker version of what European regulators had originally promised. But it will enshrine the principle of net neutrality, which stops internet service providers (ISPs) favouring some internet traffic, in European law for the first time. However, as mooted in March, there will be exceptions to those rules. ISPs will be able to favour services that require high-quality internet connections, such as internet TVs, as long as they do not impinge on the overall quality of internet traffic. The commission said they would also be able to throttle traffic if it was in the public interest to do so. For example, to combat the proliferation of images of child sexual abuse or a terrorist attack. The agreement will be presented to the EU's member states between July and December this year for formal adoption. The Alliance of Liberals and Democrats for Europe (ALDE) - the fourth largest grouping of MEPs in the European Parliament - has previously criticised regulators for trying to water down plans to end data roaming. But it welcomed Tuesday's announcement. The president of the ALDE group, Guy Verhofstadt, said the "great roaming rip-off" was to be brought to an end. The group blamed the delay in successfully negotiating the deal on member states, which have been accused of seeking to protect their national operators in the past. But Marietje Schaake MEP, another member of the group, renewed the attack on the net-neutrality deal, saying: "The compromise reached now is a watered-down version of the strong ambitions of the European Parliament." Renata Avila, global campaign manager at the World Wide Web Foundation added: "Despite claiming to protect net neutrality, the deal agreed by the Commission, Parliament and Council has decided to allow 'specialised services', but has then failed to define what is meant by this, leaving the door open for a two-tier internet... specialised services should be tightly defined and seen as the exception, not the rule." However, Gunther Oettinger, the commissioner for the digital economy and society, defended the net-neutrality proposals as a "pragmatic" approach.